^ INEGI Census 2005. [2010-01-10]. （原始内容存档于2010-01-18） （西班牙语）. ^ History for Acapulco. Niles' Guides. [January 10, 2010]. （原始内容存档于2010-01-13）. ^ Juarez, Alfonso. Confían en salvar temporada turística [Trusting in saving the tourist season]. Reforma (Mexico City). December 30, 2009: 12 （西班牙语）. 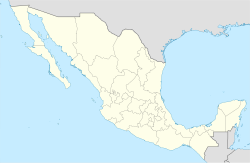 ^ Introduction to Acapulco. Frommer's Guides. [January 10, 2010]. ^ Oliver, Mike; Rita Oliver. 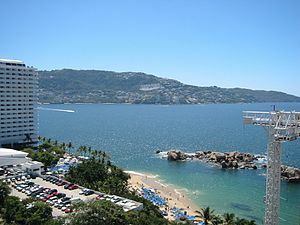 The sunniest Acapulco. MexConnect. [January 10, 2010]. ^ Average Conditions Acapulco, Mexico. BBC Weather. [December 7, 2009]. （原始内容存档于2010-10-21）.